The Athens News quoted Tim Dodd: "They're (universities) training grounds for cheating. They're training grounds for taking shortcuts." In one chemistry lab at Duke, Dodd recalled, a passing grade required synthesizing a particular chemical. "You got credit for the lab if you came up with the right result," he said. "Guess what? People came up with the right result." IPBiz notes: Whoever came up with human SCNT would be the hero of therapeutic cloning, and guess what, Hwang Woo Suk came up with it, and Science published it. Dodd's remedy for Duke's chemistry: When students made this issue clear to professors, however, Dodd said, class policy was changed to give credit to students who failed to produce the compound, but could successfully explain in chemistry terms why they failed. This placed the emphasis more on mastery of the subject, and less on getting a result obtainable by cheating, he said. IPBiz ponders: does the journal Science permit publication of papers describing why scientists failed to generate human SCNT? At Berkeley, freshman chem lab, each of 30 students was given the same metal, and were to identify it by MW, by converting it to MS, and measure the weight gain. What they did not tell the students, is that this method would result in the WRONG answer, because the compound made was not MS, but a slightly substoichiometric composition (like MS0.9) Funny, when you took the 30 results,and plotted the distribution curve, there was not one peak, but two: one at the "what you should get", and another "bang on the correct MW". The latter was "dry labbed" to give the expected MW. Well, the profs graded by the final resulting "normal distribution curve": if you were within 1 sigma of the class average, you got an A; 2 sigma a B; etc. Can you imagine-the kids who had dry labbed it, who got "the correct answer", got B's...and they were miffed...but they could not complain because they had dry labbed their results. The Athens News noted: Dodd praised OU's efforts so far in response to the plagiarism scandal, but one also recalls what Tom Matrka wrote. In another round in the Qualcomm/Broadcom patent wars, on May 29, a federal jury awarded Broadcom $19.6 million in damages and found that Qualcomm's infringement was willful -- which means the award may be increased up to threefold, AND Broadcom aplans to ask the court to issue a permanent injunction barring Qualcomm from further infringement of the patents. Recall that at pages 35-37 of Innovation and Its Discontents, Jaffe and Lerner identify both Qualcomm and Biogen as companies that use patents in appropriate manners. However, one notes that Qualcomm suffered a reverse in January 2007 in its attempt to use patents to control the H.264 standard. Of Biogen, Jaffe and Lerner neglected to mention the case of NOELLE v. LEDERMAN, 355 F.3d 1343, 69 U.S.P.Q.2D 1508 (CAFC 2004), wherein Biogen and Idec were fighting over discoveries made with federal funding. As noted earlier on IPBiz, Professor Wegner presented an article on In re Deuel, appearing, for example, here. In a more recent article, entitled KSR-induced PTO Obviousness Practice Changes, Deuel shows up in footnote 53, and Professor Wegner analyzes the citation to Bergel which appears in KSR v. Teleflex, 127 S. Ct. 1727 (2007), describing it as a "weird quirk." Nothing in the text of 35 USC 103 establishes motivation as an absolute prerequisite to establish obviousness. [CAFC/CCPA caselaw] made a showing of motivation a requirement for proving obviousness. That austere standard, absent from the statute and incompatible with case law of the Supreme Court (including Graham v. Deere), should not be applied in federal patent trials. However, motivation can yet have a bearing on the inquiry. The absence of motivation can be an important factor in ruling that a particular combination invention is not obvious. Wegner states that obviousness practice at the CAFC is "markedly changed" from the time of the KSR cert petition in 2005, although IPBiz suspects that the CAFC, in Kahn, thought it was merely articulating PAST practice, NOT "markedly changing" past practice. Wegner speaks of CAFC overreaction, including DyStar, and describes the decision in Pfizer v. Apotex (over Norvasc) as "bizarre." IPBiz notes an interesting issue is whether or not the Supreme Court thought it was limiting its decision in KSR to the predictable arts, such as the mechanical arts at stake in KSR. The Supreme Court cited BOTH Deuel AND Bergel, which do not involve predictable arts. Separately, can an "unpredictable" art (chemistry) have "predictable" components, such as the selection of a non-biologically active counter-anion from a relatively short list? Footnote 54 of Wegner's article contains an interesting citation, to the "citing references" tab (for Deuel) on Westlaw. This is an interesting concept. Instead of citing cases, one can cite Shepards for the case, or, in science, instead of referring to citing papers, one can reference the Science Citation Index for the paper. One will never "miss" a reference! Professor Miller is keeping track of cases citing KSR v. Teleflex. Mere course correction? No … sea change. Unlike a May 23 article in BusinessWeek, Cindy Kibbe of the New Hampshire Business Review got into the "big guy"/"little guy" issues in patent reform. This brings up a question for Congressmen considering various matters in patent reform: who are the "opinion makers" reflecting the needs of American business? Do BusinessWeek and the Wall Street Journal speak for small business? But another coalition of mostly small and medium-sized tech companies, known as the Innovation Alliance, takes a much different view of the legislation. “The harm to investment in tomorrow’s technologies would be felt immediately, and would hurt U.S. competitiveness for years to come,” they wrote. Among the letter’s signatories was the Salem-based semiconductor manufacturer AmberWave Systems, the University of New Hampshire, Smoothshapes Inc., a Merrimack-based medical aesthetics company, and the Dartmouth Regional Technology Center in Lebanon. AmberWave has been among the most active members of the Innovation Alliance and has taken its argument to Capitol Hill, voicing the concern that the proposed legislation has only the best interests of the biggest companies at heart, leaving smaller businesses and technology start-ups vulnerable to infringement. “The proposed changes, especially those which have been driven by today’s largest technology companies, simply tilt the playing field in their favor and will hamper our nation’s technology companies of tomorrow,” said Bryan Lord, vice president and general counsel for AmberWave, in testimony before the House Subcommittee on Courts, Internet and Intellectual Property. AmberWave is concerned that the measure “doesn’t address the root problem” of making stronger patents and has the “net impact of making patents easier to bust and easier to infringe,” Lord told New Hampshire Business Review. He said his company is most concerned with the implementation of post-grant review. Such a provision, Lord said, would allow anyone — including the infringer — to request a review at any time during the life of a patent, making third parties far less likely to conduct due diligence prior to granting a patent. Lord suggested that reform focus on improving the pre-grant review process instead. “Otherwise, it’s like conducting a home inspection after purchasing the home,” he said. As W. Edwards Deming wrote: Cease dependence on inspection to achieve quality. Eliminate the need for inspection of a mass basis by building quality into the product in the first place. It is ironic to note that many of those who complain about a lack of patent quality ignore the precepts of quality when attempting to reform the patent system. If "bad patents" are a problem, then the solution is to correct the examination, not to inspect the "bad" products. [See also, Lawrence B. Ebert, On Patent Quality and Patent Reform, 88 JPTOS 1068 (2006) and Things Are Not Always What They Seem To Be, Intellectual Property Today, p. 20 (Oct. 2005)] . Joseph Hosteny has been writing against post-grant oppositions for years, emphasizing the rather basis point: If the PTO cannot do its first job right, how can we expect it to do yet another job? Adopting a post-grant opposition simply distracts us from the real problem: an inadequately funded and staffed PTO; no one has answered Mr. Hosteny on this point. Unlike BusinessWeek, the New Hampshire Business Review got into the controversy surrounding the "second window" in post-grant review when it noted: a review at any time. Additionally, anyone who thinks "patent reform" issues are a recent phenomenon should inspect 1 JPOS 1 (Sept. 1918), reprinted in 85 Supp J. Pat. & Trademark Off. Soc'y [JPTOS] 29 (2003). Yes, the National Academy of Sciences was involved in patent reform in 1918. The last straw in the KwaZulu-Natal plagiarism matter? Once the investigations and formal processes were completed, an official statement from the university would be released. Following the plagiarism allegations, Verijenko resigned from the university via email from Australia, where he is on a sabbatical. Shaik has also since announced that he will be emigrating to Australia and cited the reports about his doctoral thesis as being the final straw. He challenged the university to prove plagiarism in his thesis. Of the last sentence, one would hope that one can prove unattributed copying, one way or another, without difficulty. It's not always dishonesty that leads students to fail to properly credit sources. Aside from wholesale copying because they're rushed, lazy or think an assignment is stupid, they might not fully understand what plagiarism is. Even educators sometimes disagree, such as: When is a fact such common knowledge no attribution is needed? Does this concern apply to some of the Ohio University theses? IPBiz notes that there are other issues. For example, can there be unintentional plagiarism, wherein a later author "borrows" from an earlier author on a matter that is not common knowledge but wherein the later author "forgot about" the earlier author? Also, is there an "independent creation" defense to plagiarism, wherein the later author simply did not know about the earlier author? In the examples involving students writing on specific assigned topics, there are only so many ways to address points and a student might write in a previously expressed way, without having seen the previous work. The Cha matter reflects still other issues. For example, what is the responsibility of later co-authors for the plagiarism of one co-author? Issues related to the "duplicate publication" in Fertility & Sterility of previously-published material did NOT end with the retraction in April 2007. The interests of K.Y.Cha have engaged Kelvin Chia and Partnership, a Singaporean law firm, to follow-up on the allegations of defamation associated with the plagiarism dimension of this matter. The Chronicle of Higher Education wrote: But in the end, plagiarism was ruled out because two of the authors on Dr. Cha’s paper were also authors of the previous paper. An associate of Dr. Cha’s in South Korea took responsibility for having the paper published twice, a spokesman for the journal said. The Chronicle made no analysis of the fact that the "previous paper" was based on results in Kim's thesis. Major news organizations have not covered this story since the retraction was announced. Nowhere will the effect of the ruling be felt more than in New Jersey, home to some of the world's biggest drugmakers, which depend on patents to protect their enormous investments in research and development. Sanofi-Aventis, for example, whose U.S. operations are based in Bridgewater, this year launched Ambien CR, an extended-release version of the popular sleep pill, in advance of Teva Pharmaceutical Industries selling a generic version of the original tablet, Ambien MR, which had $1billion in sales last year. Now, Barr Laboratories, based in Woodcliff Lake, is seek ing to invalidate Ambien CR's patent as obvious. Calvert Crary, a Connecticut lawyer who published a paper on the case, said the ruling means the patents on medicines based on standard laboratory formulation techniques, or "tweaks," may be vulnerable to challenge. # Barr's Seasonale, the extended-cycle birth-control pill, faces generic competition from Watson Pharmaceuticals. Seasonale had about $35 million in annual sales last year. # Johnson & Johnson's epilepsy drug Topamax, which had $2 billion in 2006 sales, is being challenged by Mylan Laboratories. Johnson & Johnson, based in New Brunswick, was granted a federal court injunction two months ago blocking Mylan from selling copycat versions until the patent expires in 2008. # Wyeth's Effexor XR, which rang up $3.5 billion in 2006 sales, is being challenged by Alza, a J&J company. Alza sued Madison- based Wyeth last year, saying the tablet infringes a patent covering a technology that allows a drug to be slowly released into the bloodstream. # AstraZeneca's Seroquel for acute mania associated with bipolar disorder is being challenged by Teva Pharmaceutical Indus tries. The case has been pending in U.S. District Court in Newark since 2005. Still unclear is what effect the Supreme Court's ruling could have on the validity of the patent covering the blood-thinner Pla vix. Bristol-Myers Squibb and Sa nofi-Aventis, which co-market the widely used drug, defended the patent from a challenge by Canadian generic drugmaker Apotex, which briefly flooded the market with copycat Plavix tablets last summer. U.S. District Judge Sid ney Stein in Manhattan could make a decision any day. Spokesmen for Bristol-Myers, Sanofi and Apotex all declined to comment. As Vai Sikahema said in "Rutgers is Wrong": Well, it's New Jersey. A patent infringement suit, which names Sony Computer Entertainment America, Sony Pictures, and Sony DADC, asserts that products marketed under the Blu-ray name infringe on a patent that is owned by Target Technology for reflective layer materials in optical discs. "Touch one member of the Linux community, and you will have to deal with all of us," (...) "Microsoft is not the only - perhaps not even the largest - owner of patents in this area. Individual members of the Linux ecosystem have significant patent portfolios. Industry groups, such as the Open Innovation Network and our own legal programs at the Linux Foundation, aggregate our membership's patents into an arsenal with which to deter predatory patent attacks. With our members' backing, the Linux Foundation also has created a legal fund to defend developers and users of open-source software against malicious attack. We don't expect to but, if needed, we will use this fund to defend Linux." The op-ed concludes: "We ask Microsoft to stop engaging in FUD campaigns that only serve to undermine confidence in the U.S. intellectual-property system. Instead, please work with us to make the patent system tighter, more reasonable, and efficient for everyone in the software business." [from a post by Scott Fulton at betanews.] IPBiz still wonders about the meaning of the remark by IBM's Kappos, suggesting that "open innovation" correlates with incremental, non-patentable advances. Seoul National University will take stern measures to root out cases of plagiarism by its students. After last year’s plagiarism scandal involving former professor Hwang Woo-suk, SNU has tried to tighten its ethical guidelines for papers of both professors and students. IPBiz notes that there was no "plagiarism" scandal involving Hwang. Under the situation, some professors at the school pointed out that SNU focuses only on the irregularities of professors’ research, not on the spread of plagiarism by students. In response, SNU decided to make ethical guidelines for students’ homework and research papers. IPBiz notes that SNU ought to make fraudulent research a top priority. Do academics read the papers they cite? Recently I drafted a patent application for a local university. The professor emailed me a preprint of an unpublished paper - the preprint had cited 30 references (academics LOVE citing references in scientific publications), most of which were quite irrelevant. Because of the inequitable conduct rules, I was forced to IDS all 30 references, even if only one or 2 are really relevant (of course I listed the most relevant ones first - with no comment, though). When I asked the professor which of the references are relevant, he said the first 2 are very relevant and that he hadn't read most of the other 28 references (this is VERY common in academia - often they cite work of others as a courtesy and also to make it easier for the reader). Thus I was forced, in an IDS, to flood the examiner with 28 (most-likely) irrelevant references because of fear that during litigation an attorney of an infringer could look up the academic publication and then "data mine" the 28 references and find relevant material in some review article. This is just plain idiotic !!! Of the text --he hadn't read most of the other 28 references (this is VERY common in academia - often they cite work of others as a courtesy and also to make it easier for the reader)-- IPBiz could not help but remember the citation of Jaffe and lerner to "George" Clarke. It is doubtful that Jaffe/Lerner read "George's" paper. Then again, it's doubtful they read much about patent law. The word is out: You will not dissent from the established line on embryonic stem cell research. The word was delivered with particular force to Dr. Maureen Condic, author of "What We Know About Embryonic Stem Cells,", January 2007. (In First Things.) It will be remembered that Condic very persuasively challenged the claim that drives the campaign for public funding of human embryonic stem cell research (hESC), namely that it will provide near-miraculous cures for a wide range of human medical conditions in the near future. An editorial in the prestigious journal Nature Neuroscience has now attacked the article and author, claiming that Condic is "trying to spin science ...to fit an anti-scientific purpose." The editorial refers to "the conservative Roman Catholic magazine First Things." (We are an ecumenical and inteerrreligious journal of religion, culture, and public life.) ........Interestingly, the editors do not question Condic's central claim that, as they put it, "there are formidible hurdles to overcome before hESCs might serve therapeutic purposes." That is why they want more billions of dollars in addition to all that has already been spent on such research. In fact, the editorial does not challenge any of Condic's scientific claims. Her crime is that she publicly dissents from the campaign for public funding. "........A curious aspect of this controversy is that the editorial appears in Nature Neuroscience, one of several scientific journals put out by the Nature Publishing Group. One might think an editorial about stem cell biology would be more appropriate in a journal devoted to stem cell biology. As it happens, however, Dr. Condic's primary field of research is in neuroscience. If you wanted to smear Condic in the eyes of her professional colleagues, to prevent her from getting articles published in sicientific journals and from obtaining research grants in her field of specialization, well, Nature Neuroscience is just the place to do it. Moreover, the editors refused to publish Condic's letter responding to their attack on her. This is intellectual censorship of a low order. Carbon nanotubes were first discovered several decades ago but no one realized their value at the time. Then, in 1991, Japanese chemist Sumio Ijima of NEC Corporation rediscovered them. Scientific American mentions the NAME of the re-discoverer (Ijima) but NOT the name of the first discoverer. This is somewhat like the story of buckyballs, wherein C60 was reported in the Journal of Chemical Physics ONE YEAR BEFORE the publication of Smalley and Kroto. The academic who supervised Shamim “Chippy” Shaik‘s allegedly plagiarised PhD thesis has resigned from the University of KwaZulu Natal. Professor Viktor Verijenko reportedly resigned early on Monday. This followed a Sunday Times report that “more than two-thirds” of Chippy Shaik‘s 2003 PhD in mechanical engineering from the then-University of Natal had been plagiarised. There is no word on Professor Theodore Tauchert from the College of Engineering at the University of Kentucky who collaborated with Verijenko and who was an external examiner on the plagiarized thesis. If one can't recognize plagiarized work, how competent was one's examination of the thesis? Google, the world’s biggest search engine, is to ban advertisements for essay-writing services, amid claims that it is undermining the integrity of university degrees. From next month, Google will no longer accept adverts from companies that sell thousands of essays and dissertations from as little as £70 to as much as £5,000 each around the world. NAS "patent system for 21st century" a make-work project for economists of 21st century? recent empirical data. 5 5 The reports and criticism are only based on the "feel"
patents cost too much and are too complex. FOR THE 21ST CENTURY (Stephen A. Merrill, Richard C. Levin & Mark B. Myers, eds. Footnote 50: See Bruce Alberts, President, Nat'l Acad. of Scis., Address at the Academy's 141st Annual Meeting: A World that Banks on Science (Apr. 19, 2004), available at http://www.nasonline.org/site/DocServer/2004address.pdf?docID=109. I, for one, was skeptical that these types of studies would give enough "push"
and its response as explicative of what we face with patent law reform. licensing executive of IBM. 10 So, Microsoft must favor strong IP protection. patent licensing and infringement claims by others. Although self-initiated, the study as a whole or activities within it have attracted diverse support from government agencies, foundations, and corporations. The National Aeronautics and Space Administration sponsored the project as part of its program support of the Board on Science, Technology, and Economic Policy (STEP) from 1999 to 2003. On page x of the report: Finally, the U.S. Patent and Trademark Office (USPTO) paid the salary of a senior patent examining supervisor who, under the Commerce Department’s Science and Technology Fellowship Program, worked full-time with the staff and committee from September 2000 through September 2001. The legislation establishes something like a "post-grant opposition system." This means that after a patent has been granted, there will be a short period of time in which someone can challenge it. So if a patent issues, and somebody in your company has been watching for it, they can initiate an opposition action within the patent office to oppose the patent and there will be a mini-trial held in front of the patent administration office to determine the validity of the patent. Well, a small company that monitors the patents coming out in their area of expertise might be able to take advantage of this opposition system immediately instead of waiting to get sued. If a patent issues that looks close to what you're doing, or that might give you problems, you could initiate an opposition to it. The more likely outcome is that a small entity is FAR MORE LIKELY to be victimized by a patent opposition than to utilize a patent opposition. Since the introduction of H.R. 2795, small-firms around the country have been voicing their opposition to oppositions. Ronald Riley, president of the Professional Inventor's Alliance, has been quoted as saying "I honestly feel that if we don't stop what the big companies are trying to do, there won't be any opportunity for us. What they call patent reform is all about making it virtually impossible to enforce the patents." One commentator has noted that "[p]atents legendarily protect the lone inventor, the pioneering genius in a garage, against the predation of big companies. In reality, the opposite has usually been true." Post-grant oppositions under H.R. 2795 merely provide another tool with which large corporations may unfairly prey on the little guy. One wonders if BusinessWeek professes to present objective reporting, or merely exists as a lobbying organization? of the denial of rehearing in Pfizer, Inc. v. Apotex, Inc., __ F.3d __ (Fed. Cir. 2007)(en banc)(order), panel proceedings, 480 F.3d 1348 (2007)(Michel, C.J. )[Norvasc], see the Wegner article on IPFrontline AND see the previous post on IPBiz interrelating the three dissent opinions to the UPCOMING battle over the Supreme Court's criticism of In re Deuel expressed in KSR v. Teleflex. There is real tension between the Supreme Court's criticism of "incremental innovations" and the manner in which some drug discoveries are made. The dissents of the CAFC are trying to use language in 35 USC 103(a) to cabin the Supreme Court thinking in KSR. industries, the military services, and the regulatory and operational arms of the Federal Aviation Administration (FAA). To help produce a more robust innovation climate, ARMD asked the National Academies’ Science, Technology, and Economic Policy (STEP) Board to identify from the private and public sectors practices, tools, and methodologies that could maximize NASA’s ability to influence innovation outcomes positively. Planning and Development Office, charged with coordinating federal agency efforts to plan and implement a 21st century air traffic control system in the United States. visited, we interviewed top center managers as well as R&D program and project managers. testimony on the President’s FY 2006 budget request. in the final stages of our deliberations. competition. This implies an expansive public and private research and development program. program and set to work on a new plan for ARMD. facilitate the implementation of NASA-developed technologies. question puts the program on a glide path to irrelevance. perspectives and technical expertise, in accordance with procedures approved by the National Academies’ Report Review Committee. The purpose of this independent review is to provide candid and critical comments that will assist the institution in making its published report as sound as possible and to ensure that the report meets institutional standards for objectivity, evidence, and responsiveness to the study charge. Note that this post includes the membership of the Board on Science, Technology, and Economic Policy [STEP] which includes Bronwyn Hall. Federal lab commercialization is explored: (1) by analyzing US government patents and (2) in a qualitative analysis of one NASA lab’s patents. Tests apply to three distinct sets of patents, 1963–94: NASA, all other US government, and a random sample of all US inventors’ patents. The federal patenting rate plummeted in the 1970s. Consistent with increasing commercialization, both NASA’s and other federal agencies’ rates recovered in the 1980s. The case study finds citations to be a valid but noisy measure of technology spillovers. Excluding ‘spurious’ cites, two-thirds of cites to patents of NASA-Lewis’ Electro-Physics Branch were evaluated as involving spillovers. The blog civilwarcavalry noted my discussion of Carhart's book about Gettysburg, which discussion has reached such intellectual property issues as novelty, obviousness, and plagiarism. Of the last point, IPBiz needs to clarify one point made at civilwarcavalry: The gist, therefore, is that Mr. Ebert appears to believe that Tom Carhart is a plagiarist who has claimed a novel theory as his own when it’s something that has been around for decades and is nothing new at all. As pointed out on IPBiz, there is no federal law concerning plagiarism (which is an activity distinct from copyright infringement.) Further, unlike the case with the Andersonville/University of Tennessee Press matter, no one has suggested that Carhart copied text from an earlier book (such as Walker's), so that no one has a basis for the conventional allegation of plagiarism. Thus, IPBiz (and LBE) do not believe, with the evidence presented, that Dr. Carhart is a plagiarist. Additionally, in the world of copyright law, there is the defense of "independent creation" to a claim of infringement. IPBiz does believe that the Carhart matter presents important teachings in the patent law concepts of novelty and obviousness. With the release of the Supreme Court opinion in KSR v. Teleflex, the obviousness angle of the Carhart matter is even more intriguing, and timely. Thus, in 1878, William Brooke-Rawle wrote: “It was obvious that he [Stuart] intended to accomplish this by way of the Baltimore Pike and the roads hereafter described, simultaneously with Pickett’s attack in front.” Rawle, who was a participant in the battle and thus likely "one of ordinary skill in the art," didn't marshall any facts for this "theory" beyond what he had observed, so that one has basically what lawyers term "res ipsa loquitor." This evokes, in spades, the Supreme Court's repeated reference to "common sense" in KSR v. Teleflex. You can just look at the thing and see what the obvious "next step" would be. Rawle did not mention the cannon shots, which would qualify as "teaching away" from a SURPRISE attack by Stuart. Carhart did mention the cannon shots, but the idea of "shots as a signal" doesn't pass the straight-face test. If he signalled Lee by the shots, he also signalled the Union forces. We know for a fact the latter happened. What may have been "obvious" to Rawle may indeed follow from a "common sense" look at what appeared to be happening on July 3, but it also may be wrong. Wrong as to Rawle, to Walker, and to Carhart. Apart from the merits of the proposal, one can't help but note the time sequence: in 1878 the theory was "obvious" but more than 100 years later in 2005 the theory was passed off as "novel." The Supreme Court in KSR v. Teleflex was opening the "public domain" to include incremental innovations. If "common sense" tells one of ordinary skill to go from X to Y, then Y is in the public domain, not subject to patent. There is a lot of text in KSR, which echoes complaints from the IT industry, that allowing patenting of things like Y harms innovation. The Carhart matter illustrates that the consuming public does not pay much attention to the X's and Y's. The issue of novelty really did not come up here. Most of the consuming public does not even care that, as civilwarcavalry noted, Carhart simply made stuff up. The issue of reality didn't matter. Returning to the patent angle, the Patent Office [USPTO] does not have the resources to evaluate the validity of inventions. They do attempt to see whether something has been done before. Studying the Carhart matter, one observes that the USPTO would not be evaluating "whether Carhart was right" as much as they would be checking "whether what Carhart did had been done before." In the patent business, the consuming public cares little about whether something has been done before, but they do care about whether something works and is useful (for example, the BlackBerry). "A lively and innovative interpretation of the greatest battle ever waged on American soil." “With Lost Triumph, West Pointer Tom Carhart swats a stupendous, historical, out-of-the-park four-bagger. History is seldom page-turning; here, the true events of Gettysburg compose a thriller. Dr. Carhart makes the case for revolutionizing our understanding of the decisive engagement of the Civil War; elevates the renown of Robert E. Lee; improbably reanimates the reputation of George Armstrong Custer; and shows us how history should be analyzed, challenged, proven and taught. "After 142 years of common belief that Robert E. Lee’s battlefield brilliance had somehow failed him in the decisive battle of Gettysburg, Tom Carhart, a West Pointer and noted historian who knows firsthand the blood and guts and chaos of war as a combat soldier in Viet Nam, has remarkably broken the code and now rewrites history so that we might finally understand what really happened there. Stunning. Brilliant." "Tom Carhart offers a fresh and compelling explanation for Lee’s decision in Lost Triumph...These unique insights come through in Lost Triumph ... "
As a separate matter, this confusion over the novelty/nonobviousness of Carhart's theory illustrates why the "common sense" approach of KSR v. Teleflex is apt to introduce a reign of subjective conjecture into the realm of obviousness determinations under 35 USC 103. CIRM's opponents might "always file another lawsuit based on another issue, if they can find one," but it's hard to say if they'll be able to come up with one, John Wetherell of Pillsbury said. "There have been some organizations - not parties to this litigation - who have raised the issue of potential conflict of interest, since some of the people who sit on CIRM are also from agencies that might receive that funding." But that problem seems fairly simple to solve, by leaving those CIRM members out of discussions on a case-by-case basis. "Another important issue that needs to be resolved, and we're still waiting on this, is how much licensing royalty should flow back to the state off any technology that comes about" as a result of CIRM funding, Wetherell said. "There's a tension between the legislature and CIRM over how the state would get a piece of the action," but the situation might be resolved easily without more lawsuits, he said. Within his firm, Wetherell heads a group called SCOPE (Stem Cell Outlook and Planning Effort), established when the debates over Prop 71 began to heat up. "It's a sort of SWAT team, if you will," he said, calling himself "the geek-on-call for the science" of stem cells - where much research is "basic, platform-type," far from marketed drugs. Scientists still are figuring out how to increase and differentiate stem cells for therapeutic benefit. The SCOPE initiative aims to serve existing clients with expanding activities in the stem cell area, as well as research organizations and biotech companies that may be newly drawn to San Francisco and other key regions in California where the firm has offices -- San Diego, Silicon Valley, Sacramento and Los Angeles. The expectation is that such clients will need legal services coordinated among those geographic areas and a variety of legal fields, such as Prop 71 compliance, early-stage corporate and venture capital issues, patent portfolio strategies, IP analysis and disclosure obligations, trade secrets, grant and loan issues, technology licensing and real estate transactions. An article by Sam Fahmy, the science writer at the University of Georgia Office of Public Affairs/News Service, touts work by Tom Adams, director of the UGA Faculty of Engineering outreach service, in which wood chips and pellets -- roughly a quarter inch in diameter and six-tenths of an inch long -- are heated in the absence of oxygen at a high temperature (pyrolysis). Up to a third of the dry weight of the wood becomes charcoal, while the rest becomes a gas. Most of this gas is condensed into a liquid bio-oil and chemically treated. About 34 percent of the bio-oil (or 15 to 17 percent of the dry weight of the wood) can be used to power engines. Such processes are sometimes termed destructive distillations. Following the plagiarism flap in the Mechanical Engineering Department at Ohio University, there's now another mechanical engineering plagiarism controversy, in South Africa. There are possible ties to the University of Kentucky. The Sunday Times reports: An extensive Sunday Times investigation has found that Shaik’s 2003 PhD in mechanical engineering from the then University of Natal was plagiarised. More than two-thirds was regurgitated from journal papers of other authors without citation or acknowledgement. Chippy Shaik now risks his doctorate being revoked, and the academics who supervised his thesis — Professor Viktor Verijenko, head of the School of Mechanical Engineering at the University of KwaZulu-Natal, and his colleague, Professor Sarp Adali — face being fired. The Sunday Times has established that Professor Theodore Tauchert from the College of Engineering at the University of Kentucky in the US, who had participated in research collaborations with Verijenko, was an external examiner on the thesis. At least 100 spelling, typographical, grammatical, consistency and internal referencing errors. UKZN vice-chancellor and principal Professor Malegapuru Makgoba said late yesterday he was “outraged”. “I am livid that certain academics have abused the privileged space of the university and taxpayers’ money to engage in what are clearly illicit, disgraceful and dishonest activities that have tainted again the integrity and quality of our degrees,” he said. IPBiz notes, as to abuse of taxpayers' money, what about promises made concerning patent royalties in the campaign for Proposition 71? With reference to an IPBiz post on Sunday, May 20, I was duly chastised by an IPBiz reader for including text suggesting Mark Lemley was a patent lawyer. He isn't; IPBiz believes Lemley's undergrad degree was in economics, which would make it difficult for Lemley to sit for the patent bar. "Stanford professor Mark Lemley, a noted patent lawyer......"
He's not a patent lawyer as far as I can tell. The text about Lemley in the May 20 post originated from an Associated Press [AP] story on "how great" things are for patent attorneys. Things aren't great for all patent attorneys, contrary to the suggestion of AP, and Mark Lemley isn't a patent lawyer, contrary to AP. Just goes to show you that you can't believe everything you read in the newspapers. IPBiz and Captain Renault are shocked! Those of you reading Terri Somers in the San Diego Union Tribune might think that Thomson ignored the work of Ariff Bongso in Thomson's '780 patent. Such people would be wrong. IPBiz had earlier discussed Lemley's assertion, published in the Stanford Law Review, that Gary Boone invented the integrated circuit (IC). Contrary to the Stanford Law Review, Gary Boone did not invent the integrated circuit, but one might check out two fellows by the names of Noyce and Kilby. When you read articles like this one, it means it is time to avoid patent law like the black plague. It is sort of like becoming a petroleum engineer in late 1970's, an anti-trust lawyer in the 1980's, a defense contractor in the early 1990's, an Internet guru or a stock broker in 2000, or a real estate agent in 2006. Don't get caught up in the hype, the bubble has burst." Who are the real IP superstars? There is no doubt that Lemley and Lessig have very high profiles in the academic community. However, do they, and some of the others, have true knowledge of IP, especially patents? There seems to be a fundamental disconnect between "real IP" and "academic IP," with the academic folks engaged in quests unrelated to truly important issues. There was no way Lessig's effort at the Supreme Court in Eldred was going to prevail, and Lemley's comments on continuations are naive and misguided. While I think Mark Lemley is a smart guy, there is no accounting for some of the statements he made in that infamous law review article on this subject. Search previous posts for discussions of some of the errors he made, which many found to be misrepresentations. You are going to have to find a bit better source if you are to be taken seriously. A federal appeals court reversed this decision, arguing that the earlier patents were focused on specific problems that would not necessarily lead an inventor to the combination of elements found in the Engelgau design. This court used the “teaching, suggestion or motivation” test through which a patent claim only can be deemed to be obvious if some motivation or suggestion to combine elements in the prior art exists within that body of work, in the problem to be solved or in the knowledge of an ordinary person in that field. According to this view, simply combining these elements does not constitute an obvious extension of existing designs. As such, it provides expansive opportunities for designers to build upon the prior art and yet receive patent protection for their work. The Supreme Court reversed this decision. In issuing its finding, the justices concluded that because the Asano patent provided the concept of an adjustable pedal with a fixed pivot point while other patents recommended that sensors should be located at such non-moving locations, “attaching the sensor where both KSR and Engelgau put it would have been obvious to a person of ordinary skill.” It found that the appellate court had erred primarily in using a limited notion of obviousness. One notes that it was the defendants (KSR) who limited their search for motivation to the "problem to be solved," even though motivation could arise from other sources. Procedurally, the CAFC did not allow summary judgment on the matter, and never decided the issue of whether Teleflex pedal was in fact obvious. Voland also noted: And numerous existing patents for apparently obvious extensions of earlier inventions now may be successfully challenged in court. fedcirc.us wrote of the TSM test: Thus, the TSM test lay on the battlefield without a clear purpose. We must now anxiously await to see if the Federal Circuit is able (or chooses) to successfully maintain the test in the shadow of KSR. In passing, of another patent struggle, note The story of the basmati rice patent battle concerning US Patent 5,663,484. Eben Moglen says that Microsoft's attempts to win patent suits against those using the open source OS will come unstuck thanks to the Microsoft's deal with Novell. Earlier this year, Novell paid a wad of cash for 'vouchers' which would indemnify users of its SUSE Linux from action. The Athens Post published a letter on May 18 by Tom Matrka concerning the plagiarism matter at Ohio University [OU]. The first paragraph includes the text: Since I first discovered published student plagiarism and presented it to OU administrators in July 2004, President McDavis has carelessly passed on multiple opportunities to protect the credibility and value of an OU degree. Matrka also wrote: Students and alumni are now forced to accept the fact that their degrees are no different than those of admitted cheaters. 18 Air Force Cadets Exit Over Cheating - this along with the Dean of MIT "not having the courage to change her resume" to list NO Degrees at the time of hiring for the position and lying for 28 years while looking for student credentials for MIT enrollment seems to say more about society then repeated stories about Ohio University plagarism in Graduate thesis in which the university has taken appropriate thoughtful action in the review and individual sanctions. Demand for these specialists is being driven by an explosion in patent applications in recent years and a growing need for lawyers to protect old patents or challenge new ones. The U.S. Patent Office estimates 450,000 patent applications will be filed this year, up from about 350,000 five years ago. Law professors say they're seeing more students with strong science backgrounds make the leap to law, where recruiters are snapping them up. "It's an exciting area of legal practice right now," said University of Pennsylvania law professor R. Polk Wagner. "Every year I see more and more people coming into law school with technical backgrounds." "It almost scares me," said Wagner, whose proteges include Weathers. "Who's left in the lab?" Stanford professor Mark Lemley, a noted patent lawyer involved in two of the recent Supreme Court cases, sees the legal landscape changing even within his classroom. Next to the more traditional law students with liberal arts backgrounds, he now finds a growing number of science majors of varying ages and backgrounds. Last year, 140 students piled into his Introduction to Intellectual Property course, making it the largest class at the school. "That's the kind of thing that 15 years ago would have been inconceivable," said Lemley, whose recent work includes a friend-of-court brief in a Supreme Court patent-infringement fight involving eBay. To harness that interest, Stanford is joining the handful of law schools that have started joint degree programs in science and law. Stanford's law school dean, Larry Kramer, sensed the need for the program after moving to the Silicon Valley from New York University a few years ago. Different visions for global warming: a joke or extinction? Meteorologist Augie Auer is quoted: "It is time to attack the myth of global warming (...) We're all going to survive this. It's all going to be a joke in five years." According to Auer, water vapour is responsible for 95 per cent of the greenhouse effect. Greenhouse gases other than water: carbon dioxide, methane, nitrogen dioxide, and various others including CFCs, contributed only five per cent of the effect, with carbon dioxide being by far the greatest contributor at 3.6 per cent. BUT carbon dioxide as a result of man's activities was only 3.2 per cent, so man's contribution is 0.036 X 0.032 or 0.1152% of the problem. Meanwhile, Leonardo DiCaprio has made a film, the 11th Hour, warning that human beings face extinction as a result of the environmental crisis. Remember the movie "Chain Reaction" with Keanu Reeves and Morgan Freeman? Bubbles created by sonoluminescence have been observed generating temperatures measuring in the kilokelvins, or tens of thousands of degrees. The temperature threshold to initiate nuclear fusion reactions is in the millions of degrees, or megakelvins. There is a bit of a discrepancy here, a discrepancy adding up to three orders of magnitude. Sonoluminescence is hot, but it's not that hot. wisegeek reports that a patent application by R. P. Taleyarkhan was rejected. QuikOrder, Inc. announced on May 19, 2007 that the company has been awarded U.S. patent no. 7,197,478 for a rapid entry system for the placement of product and service orders via the internet. 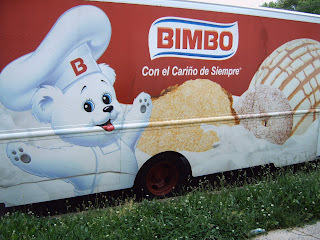 The announcement was made at the 2007 National Restaurant Association show held in McCormick Place (Chicago) in May. In contrast to the one-click checkout technology offered at Amazon.com, the new patented technology called FAVORDER is the first truly one-click solution for ordering products and services at websites and via cellphones and PDAs. KSR v. Teleflex: does obviousness increase with time, or with knowledge? In the April 2007 issue of Intellectual Property Today, Roberta J. Morris has an article "Thoughts on Patent-Bashing, Obviously" which includes the statement by Albert Einstein: "Opinions about obviousness are to a certain extent a function of time." Although one might suspect this quote was used in the context "what is obvious later in time might not have been obvious earlier in time," Morris did not so direct it. In fact, sometimes things work in the opposite way: what was "obvious" earlier in time becomes less obvious later in time. An example in Civil War history concerning the actions of JEB Stuart and George Armstrong Custer on July 3, 1863 at Gettysburg is illustrative. Pickett's Charge happened in the early afternoon of July 3, 1863, and did not end well for the Confederate forces. Some people, recognizing the brilliance of Robert E. Lee in May 1863 at Chancellorsville, have difficulty accepting that the same Robert E. Lee ordered Pickett's Charge, which likely had a very low probability of success. A recent book by Tom Carhart suggests that there was a master plan by Lee, involving an attack by JEB Stuart on the Union right (Confederate left), which proves that Lee's thinking was not as bad as might be inferred from the outcome of Gettysburg. Stuart's attack was stopped by Custer, which "stop" thwarted Lee's master plan. This idea of the master plan was presented as a novel theory in 2005, and many reviewers have acknowledged it as a novel theory. Flash back to the year 1878. Gettysburg happened 15 years earlier, and Custer died at Little Big Horn two years earlier. William Brooke Rawle, a participant in Gettysburg, wrote: "It was OBVIOUS that he [Stuart] intended to accomplish this [surprise in Federal rear] by way of the Baltimore Pike and the roads hereafter described, SIMULTANEOUSLY with Pickett's attack in front." There's that word "obvious." Thus, the theory that was novel in 2005 was obvious in 1878. As Einstein said, opinions about obviousness are to a certain extent a function of time. But, was the theory correct? Priority is one thing; evidence is another. Rawle suggests that Stuart's goal was blocked once Hampton's and Fitzhugh Lee's troopers entered into open ground, and were seen by Union forces. Rawle neglects to mention that Stuart's force fired cannon PRIOR TO any engagement with Union forces and not directed at any Union forces, not exactly what one does when planning a surprise. Sometimes, when one advances an "obvious" theory, one omits mention of facts which make the theory not obvious. Carhart mentions the cannon shots, but asserts they were a signal to Lee. Carhart did not mention Rawle, or a book published by Walker a few years before the book by Carhart that advanced the same theory. Stuart himself wrote: "Had the enemy's main body been dislodged, as was confidently hoped and expected" [by Pickett's charge] "I was in precisely the right position to discover it and improve the opportunity." One can infer that Stuart planned TO BENEFIT FROM THE RESULTS OF Pickett's attack, not to help CAUSE the results. Confederate Major H.B. McClellan wrote: Stuart's object was to gain position where he would protect the left of Ewell's corps, and would also be able to observe the enemy's rear and attack it in case the Confederate assault on the Federal lines were successful. He proposed, if opportunity offered, to make a diversion which might aid the Confederate infantry to carry the heights held by the Federal army. Firing cannon shots which alert the enemy to your position is consistent with a diversion, not a surprise attack. Whether the theory was advanced in 1878 or in 2005, it's not "obvious" unless there are facts which support it. The whole deal in the CAFC opinion in KSR v. Teleflex was not about whether the invention was "obvious," but whether the underlying facts were written down. When one combines bits and pieces from a number of prior sources, it is incumbent to show why the bits and pieces were combined to prove that the mosaic renders the later thinking "obvious." Opinions about obviousness are to a certain extent a function of time because the recognition and analysis of the underlying facts can be a function of time. As a separate point, most people would expect that our ability to gather facts to determine obviousness would be greater for more recent events, because recent events are more thoroughly documented on the internet. This is not necessarily so. In the Gettysburg example, the work of William Brooke Rawle from 1878 is well-documented on the internet. In contrast, the rather interesting "Vai's View" by Vai Sikahema, entitled "Rutgers is Wrong", which appeared less than one year ago, has vanished from the internet after the successful football season by Rutgers. Things that go up on the internet can easily be removed from the internet. See Internet Publishing: Online Today, But What About Tomorrow Or Where Have You Gone, 406,302? Further to the ongoing discussion of bubble fusion, the Purdue Exponent has a discussion of issues concerning replication of the work. And, don't forget The Foraging Behaviour of Honeybees (Apis mellifera L.) on Brussels Sprout (Brassica oleracea L.) which includes the text: Bees soon learned to rob flowers and the ease with which they did so, increased as a flower became older and its perianth segments spread apart. Most foragers visiting some cultivars were robbers, particularly at the later stages of flowering. However, some cultivars with small flowers were not robbed even when their flowers were old. Flowers were less likely to be pollinated by robber bees than by bees that entered them. Robbing can be discouraged by selecting Brussels sprout cultivars with inner nectaries easily reached by bees and also by increasing the proportion of pollen to nectargatherers visiting the crop. At a talk I gave to scientists at SSI-11, to introduce the scientists to concepts in intellectual property law, I mentioned the case of In re Wilcher, 40 USPQ2d 1930, to illustrate that certain terms cannot be trademarked. 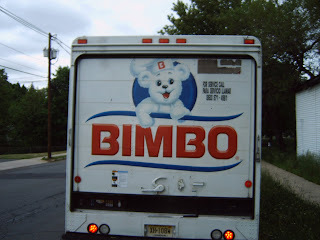 In seeing the trademark to "Bimbo" on the truck shown below, one notes that there is a subtlety in the concept of scandalous or obscene: what might be a denigrating association of the word in one context might not be a denigrating use in another context. The talk at SSI-11 included many examples of intellectual property matters of relevance to scientists and engineers. IPBiz referenced the talk for its discussion of improper citation issues. The talk also got into false advertising matters associated with various books on the Kennedy assassination, including the phrase "guilty of misleading the American public" discussed in Groden v. Random House, 35 USPQ2d 1547. The Biotechnology Industry Organization (BIO) today joined more than 100 companies, associations, venture capital firms and universities in sending a letter to key leaders of the U.S. House of Representatives and U.S. Senate to urge a cautious approach to reforming patent law that continues to protect biomedical innovation. (from BusinessWire). "We strongly believe that certain provisions (of the legislation [HR 1908]), such as those dealing with apportionment of monetary damages for patent infringement, expansive PTO rule making authority, an open-ended post grant opposition system, and a narrow grace period will not strengthen our patent system but instead will fundamentally undermine patent certainty, discourage investment in innovative technologies, and reduce publication and collaborative activities among academic scientists." The bill would also allow new ways to challenge patents after the U.S. Patent and Trademark Office has granted them. The result would be "weakened protections" against patent infringement, said the letter, drafted by the Innovation Alliance, a trade group representing patent holders. Large tech "aggregators" that hold thousands of patents may not care if one is challenged or weakened, Bryan Lord said. But small firms such as AmberWave depend upon a limited number of patents for their livelihood, he said. The InfoWorld piece also noted: Members of the Innovation Alliance and other organizations signing the letter said "measured" changes to the U.S. patent system may be appropriate. "Unfortunately, we also believe that some of the proposed reform provisions hold serious negative consequences for continued innovation and American technological leadership in the increasingly competitive 21st century global economy," the letter said. "The harm to investment in tomorrow's technologies would be felt immediately." Magnetic graphite made using high energy proton beam? A "Stanford Report" titled Carbon joins magnetic club: Element holds promise for information technology discusses (ferro)magnetic carbon. In context, the material is graphite which has been bombarded by a high energy proton beam. The band structure of graphite is complicated, and the electronic conductivity of graphite is that of a semimetal. "With carbon, we know how to make things very small," said Ohldag. "On the other hand, we know a lot about how to process and store information using magnetism. This opens up the door for future studies that will lead to improved magnetism in carbon, which could one day lead to combining the 'magnetic' and the 'carbon' world." One notes that it is possible to have graphite intercalation compounds with magnetic properties distinct from graphite. For example, "C14CrO3" is paragmagnetic. Also, one can make (poorly characterized) materials in the reductive destruction of things like graphite/FeCl3. Separately, it was once a big deal to have a paramagnetic superconductor, achieved with an intercalated disulfide; the trick being that the paramagnetic species is separate from the conduction electrons. IPBiz hasn't looked at the May 4 PRL paper by Ohldag and co-workers yet. I suspect what the Stanford folks have are very very localized region with these interstitials....and they can pick up any ordering with their SQUIDS. I don't think there will be any "utility" for these materials....and if you get too many, the swelled material will break, split, ... As I recall in the nuclear reactor game, one allows exposure for the graphite for only so long, then you remove them. There is a build up of strain energy with these interstitials....which can lead to either breakage or a large heat release if the interstitial goes back into place (upon heating, as I recall). As can be seen from the BIO amicus brief, the biotech/pharma industry did not support changes to the obviousness standard for patentability, and as can be seen by later statements, bio folks were NOT thrilled with the decision in KSR v. Teleflex. BIO on KSR: "We're not totally thrilled." Although one blog entry on scotusblog suggested KSR will not harm bio/pharma interests, it is more likely that the net effect of KSR v. Teleflex will be adverse to biotech/pharma interests. Of the TSM test, patentbaristas wrote: Granted, while the Supreme Court knocked the Federal Circuit’s teaching, suggestion, or motivation (TSM) test down a notch, it didn’t reject it outright. So, the same factors will come into play — albeit in a smaller role. Therefore, many of the arguments of patentability that would come into play under the TSM test will still be necessary in terms of the new, higher standard for combinations of known elements. Of the impact of KSR on biotech: I don’t believe that we will know the net effect for some time. However, one immediate result from this decision could be a push to increase settlements. Ludwig of Venable writes "the TSM test will likely be used in some instances to determine obviousness" and that "claims covering improvements on known inventions will be rejected more often." Ludwig notes that the biotech/pharma approach of Patent Life Cycle Management will be impacted. Ludwig suggests that a key way to overcome obviousness issues will be a persuasive, well-supported showing of unexpected results.